For most TV shows, losing two original cast members would be a series-ending crisis. But for Suits, the prospect of saying adieu to stars Patrick J. Adams and Meghan Markle at the end of season 7 presented the long-running legal drama with the perfect opportunity to pull the trigger on something that’s been in the making since former fake lawyer Mike Ross (Adams) told then paralegal Rachel Zane (Markle) he loved her in the show’s pilot. Yes, we’re talking about a wedding! 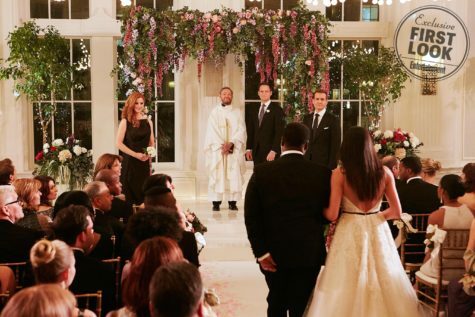 Here’s an exclusive first look at Mike and Rachel’s nuptials, which will play out over the USA drama’s two-hour season 7 finale (airing April 25 at 9 p.m.).